Our clients and partners are of great value to us, but we know these relationships wouldn’t exist if it weren’t for our hard-working employees who are the heart and power of Pyramid Solutions. That’s why we make sure our employees know how indispensable they are to us by recognizing and rewarding great work. Every quarter, awards are given to Pyramidians including Employee of the Month and special shout-outs recognizing outstanding team members. 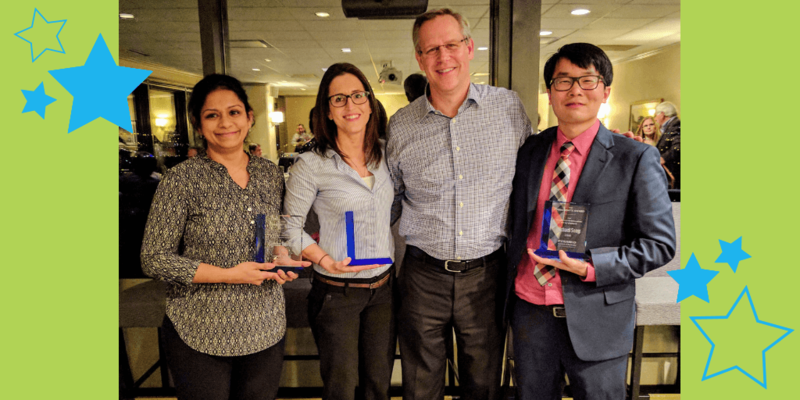 Additionally, each year we grant a variety of President’s Awards that highlights employees who have exhibited exceptional client satisfaction, performance, innovation and more. What do our winners think about their awards? Find out for yourself! Do you want to work for a company that recognizes all your hard work? You’re in luck– we’re hiring! Head to our Careers page today!